New Guidelines Help Protect Unborn Babies Of Pregnant Women With Malaria : Goats and Soda Scientists uncover new evidence on how to prevent stillbirths, miscarriages and low-weight births associated with pregnant women with malaria. Bed nets have protected Mary Akye and her five children from malaria-carrying mosquitoes in Ghana. The world is focused on finding a link between pregnant women infected with the Zika virus and severe birth defects. But two studies and an editorial in this week's New England Journal of Medicine are reminders that malaria, a disease that killed about half a million people in 2015, also has profound consequences for pregnant women and their infants. The new studies provide much-needed guidance on how to prevent and treat malaria during pregnancy. "Malaria during pregnancy is a major public health concern," says Dr. Joel Tarning, Head of Clinical Pharmacology at Mahidol Oxford Tropical Medicine Research Unit in Bangkok, Thailand, and author of the NEJM editorial "Treatment of Malaria in Pregnancy." Recommended treatment for malaria is artemisinin combination therapy, or ACT, a mix of drugs shown to effectively treat the disease. But until now, the treatment has not been tested on women expecting babies. "Pregnant women are often excluded from clinical trials, which hampers the implementation of these drug treatments," says Tarning. If malaria is left untreated during pregnancy, infected red blood cells gather in the placenta and block the crucial exchange of nutrients from mother to fetus. The result can be miscarriage, stillbirth and low birth weight, says Tarning. In sub-Saharan Africa, malaria during pregnancy is thought to be responsible for 20 percent of low birth weight babies each year, leading to 100,000 infant deaths, according to a recent NEJM study. In Africa many people are immune from malaria and show no symptoms when infected, but pregnancy reduces a woman's immunity. Even when an infected woman has no symptoms, the disease can still harm the fetus, again resulting in low birth weight, miscarriage or stillbirth. Despite a lack of clinical trial evidence on how to safely and effectively prevent and treat malaria during pregnancy, the consequences of no treatment are severe. "Not treating pregnant women with malaria is not an option, since this is a life-threatening disease," says Tarning. So the current WHO recommendations are that women living in areas where malaria is prevalent sleep under pesticide-treated nets; that women be given two doses of malaria prevention drugs during their pregnancy; and that women with malaria be treated during the second and third trimester. Those WHO guidelines on treating malaria in pregnant women haven't changed, but now, with good evidence that they are safe and effective, health ministries can be more confident in carrying them out. "I hope that these studies provide the needed evidence for countries to use ACTs in the treatment of pregnant women with malaria," says Tarning. And they provide support for being treated earlier in pregnancy. Tarning pointed out a new study in The Lancet Infectious Diseases that treatment with ACTs is safe and effective during the first trimester. "It's time to reconsider first-trimester anti-malarial treatment recommendations," he says. Just as important, he says, the studies show that in countries where many pregnant women are infected with malaria but show no symptoms because of built-up immunity, treatment with ACTs will benefit them and their unborn babies. "Hopefully, this will start the debate on using ACTs as preventive treatment in this group," he says. Now there is clear guidance on how malaria drugs affect pregnant women. In another study, 3,428 pregnant women with malaria from Burkina Faso, Ghana, Malawi and Zambia were treated with four different anti-malaria drug combinations. Cure rates ranged from 95 percent to 99.2 percent, with few side effects. And the study on preventive treatment in 300 pregnant women with no malaria symptoms found that the drug combination of dihydroartemisinin-piperaquine, one of the combination drugs, prevented the disease and raised no safety concerns. 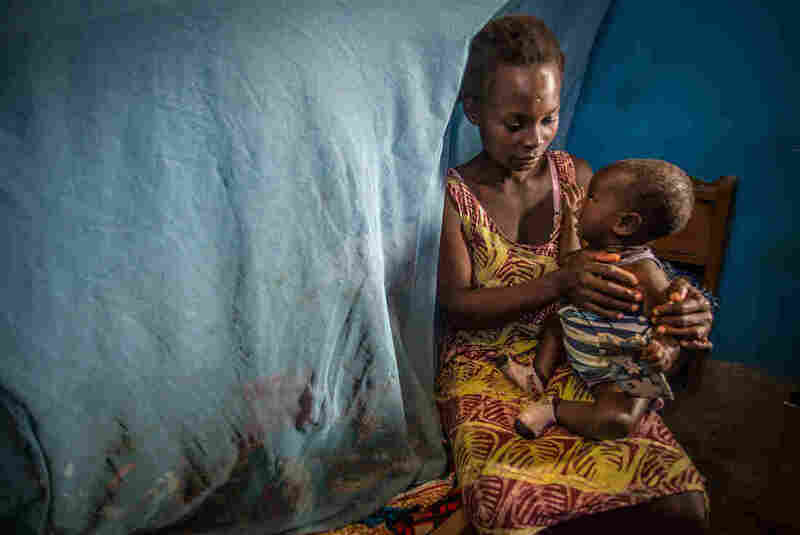 These studies on malaria's effect on pregnant women, a group previously not studied adequately in clinical trials, should go a long way in protecting mothers and babies from the harmful consequences of the disease.